Premiere: at the meeting of European Filmmakers in Munich, November 1968. For Sugar Daddies Hans Scheugl has filmed graffiti from the wall in a toilet at the Vienna University. The material was ment to be shown on toilett-walls only. The kind of place where the anonymous messages of intimate and private character was recorded serves therefor also as the place of their public presentation. On the occasion of two screenings Scheugl filmed the event and subsequently worked the new material into the film – a concept that theoretically could be continued further on. The title Sugar Daddies refers to the film with the same title with Stan Laurel and Oliver Hardy from 1927. Michael Michalka, in: X-Screen. Filmische Installationen und Aktionen der Sechziger- und Siebziger Jahre. Catalogue. Vienna 2004. 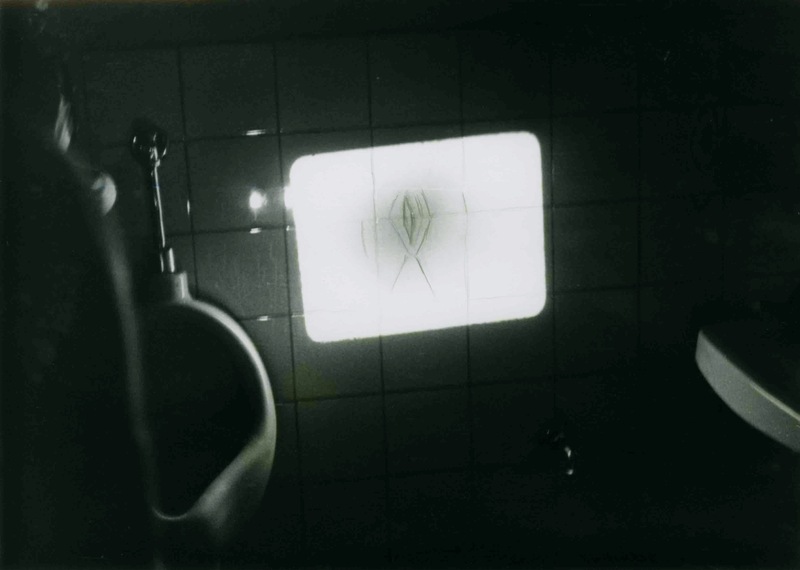 When Hans Scheugl projected his Sugar Daddies on to a lavatory wall he was offering an instance of cinema within an environment. The film extended itself by turning turning back on itself. The wall was tranformed by the projected wall into a wall covered with words from a wall of its own kind. Everything shifted, only to re-establish itself. The wall per se was not important, the graffiti themselves were not important, the film itself was not important, but the whole room was, throwing the moving projected image on to the world. Stephen Dwoskin: Film Is: The International Free Cinema. New York 1975, pp. 242-243.